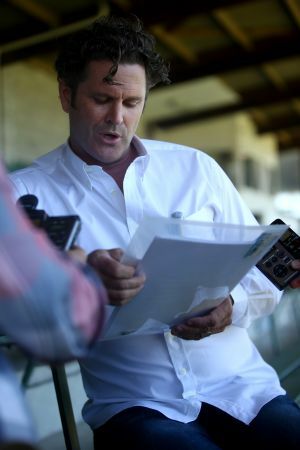 Former New Zealand Test cricketer Chris Cairns has confirmed that he is under investigation by the London Metropolitan Police and the International Cricket Council's anti-corruption unit, although he says he does not know why. "I have had contact from the (Metropolitan) police and the ICC and I will be engaging with them further in the coming days and weeks," Cairns said. "I still don't have any detail about the basis for or nature of their inquiry." According to AFP, Cairns said he was pleased that after persistent rumors of his alleged involvement in match-fixing "the authorities are finally engaging with me so that this matter can be resolved once and for all and I can get on with my life. As I have said countless times, I have nothing to hide." The ICC said last year that members of its anti-corruption unit had visited New Zealand as part of an inquiry involving Cairns and his former New Zealand teammates Lou Vincent and Daryl Tuffey. Vincent and Tuffey confirmed they had been questioned but Cairns repeatedly said he had not been approached or advised of the nature of the investigation. He accused the ICC of "recklessly tarnishing" his name by allowing the existence of an inquiry to become public before he had a chance to defend himself. Cairns has now confirmed that contact had been made by investigators with his legal representatives. "It's pretty complex, but what I would like to reiterate is that I'm actually glad that people are finally talking to me after four months,” Cairns said. "It was December 5 when this broke and they are now engaging. At least now we can hopefully get this matter resolved," Cairns said. Vincent later pleaded guilty to failing to report an approach from an illegal bookmaker over an incident which was reported to be unrelated to the main inquiry. Britain's Daily Telegraph newspaper reported on Wednesday that London barrister Andrew Fitch-Holland, who gave evidence on Cairns's behalf in his 2012 libel case against former Indian Premier League boss Lalit Modi, has been arrested on charges of perverting the course of justice. The newspaper reported that Fitch-Holland, a former friend and legal adviser to Cairns, was being held in custody. Cairns won a libel action against Modi in the High Court in London after claims made by Modi about Cairns's involvement in the rebel Indian Cricket League. The judge in the trial found no evidence Cairns had been involved in match-fixing while playing for the Chandigarh Lions in the now defunct ICL. Vincent and Tuffey played for the same team. "I am seeking legal counsel. We're unsure how to get advice from here," Cairns said. "We'll look at options in the UK and New Zealand. In light of everything that's occurring I still don't know what we're talking about." Cairns said it would be inappropriate to comment on Fitch-Holland's arrest. "We need to respect the process and keep an open mind to allow it to play out," he said. "I haven't spoken to him. All I can do is reiterate how complex these things are."